Developed to provide the best grip on wet marine surfaces. Vibram WAVEGRIP compound allows you to love, work, and enjoy life whether on a boat or at play in the sea. 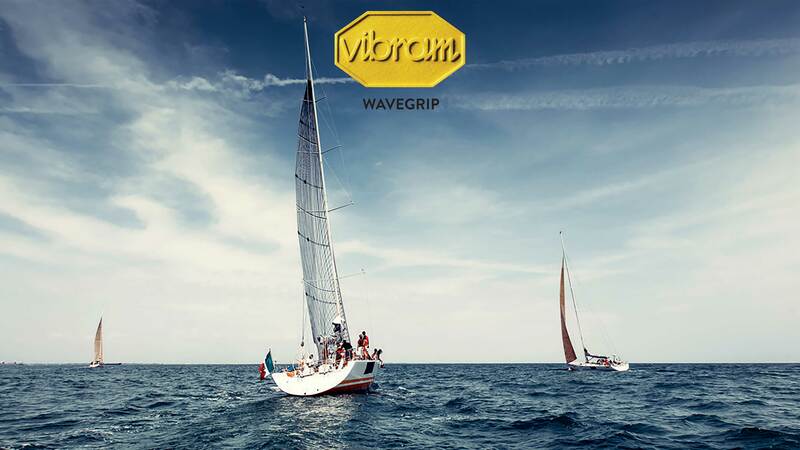 Vibram WAVEGRIP is a non-marking rubber compound and offers grip and traction on any boat surface. The softness of the compound allows it to adhere to smooth surfaces of gelcoat, stainless steel, and wet teak without jeopardizing use on land or sole durability. When used in combination with micro sipping and drainage channels, WAVEGRIP allows you to move with confidence on board in any kind of sea condition.